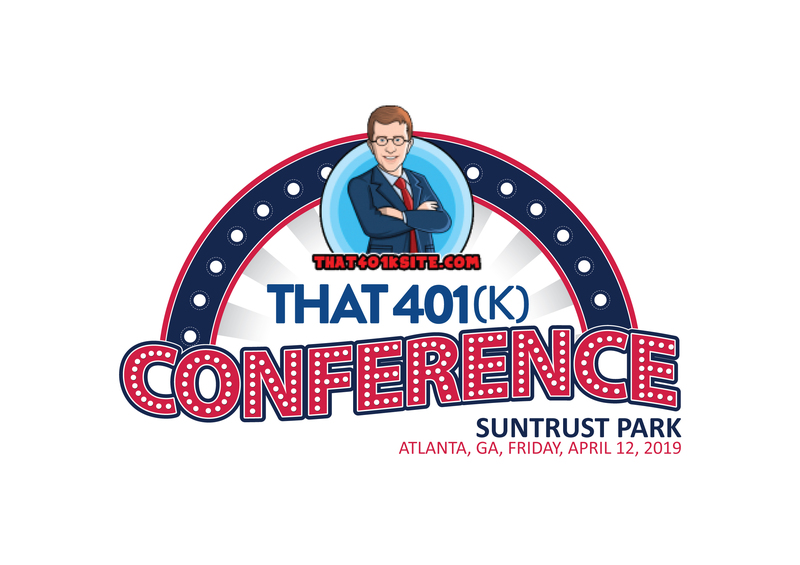 I’m proud to announce that That 401(k) Conference will be held in Atlanta at SunTrust Park on Friday, April 12, 2019. As usual, $100 will get you lunch, 4 hours of content, a stadium tour, and a meet and greet with a former Braves great. As an added bonus, your $100 will also get you a free game ticket as the Braves take on my New York Mets that night. As I always say, it’s the best value in 401(k) conferences and it’s the 401(k) advisor event like no other. 2019 is a banner year for my conferences as we hit St. Petersburg, Atlanta, and Kansas City with other cities to be announced.